NOAA Experiment: Does cloud Seeding Make Rain? The idea that clouds can be seeded with silver iodide to increase rainfall has been around since the late 1940’s, but the history of rainmaking has not had much a silver lining. 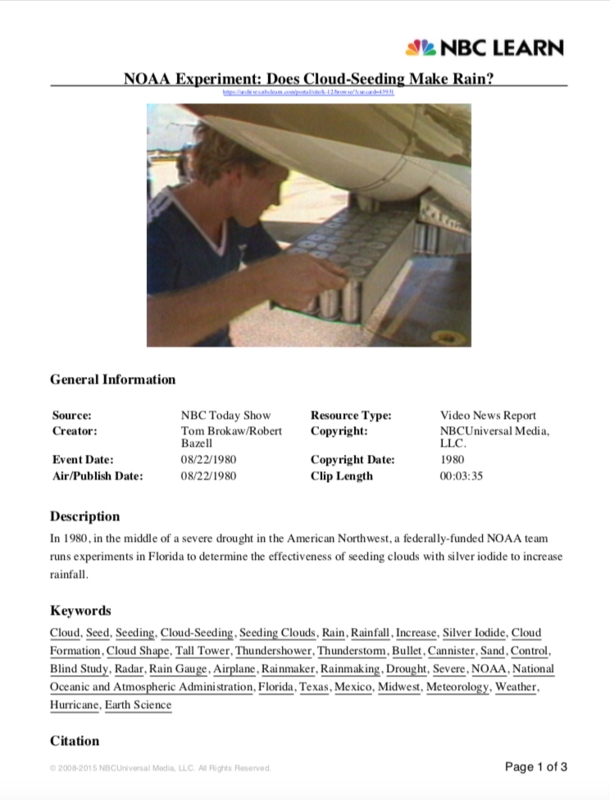 In fact, many farmers just think it’s a fraud and in some states, it’s actually outlawed, but many scientists insist that rainmaking can work and that’s why for the past three summers, the federal government has been running a cloud-seeding experiment in Florida.